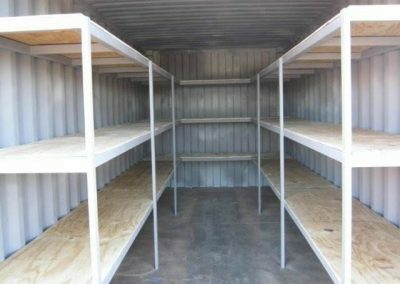 The sky is the limit with our storage containers. 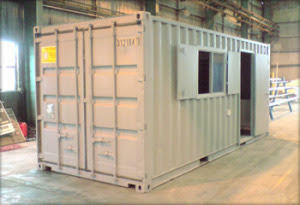 Resilient, modular, and cost effective, shipping containers have many practical uses. With the high cost of raw materials and the lack of structural integrity of modular homes, “green conscious” people are even building container homes! 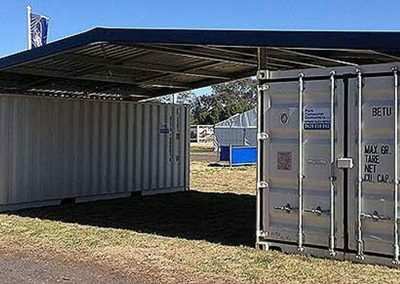 Safe, secure, and out of the elements – use a shipping container to create a camp cabin or storage for atv’s and camping gear. 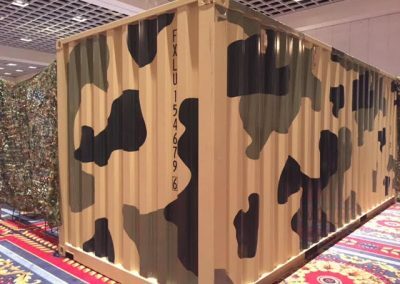 Ask any soldier that has toured in Afghanistan – the military has found how effective shipping containers (conex containers) are for use as portable barracks and living quarters. Looking to cool down on a hot day? Repurposed shipping containers have even been used as swimming pools! 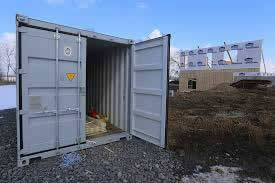 Consider the option of shipping containers for your next project. Get inspired and then Get a Quote. Just add a roof and you have a fully functional barn with weather-proof storage on each side! With full-width access you won’t be restricted when needing to store those large items. Use your container as an office or workshop. We can add doors, windows, insulation and more! 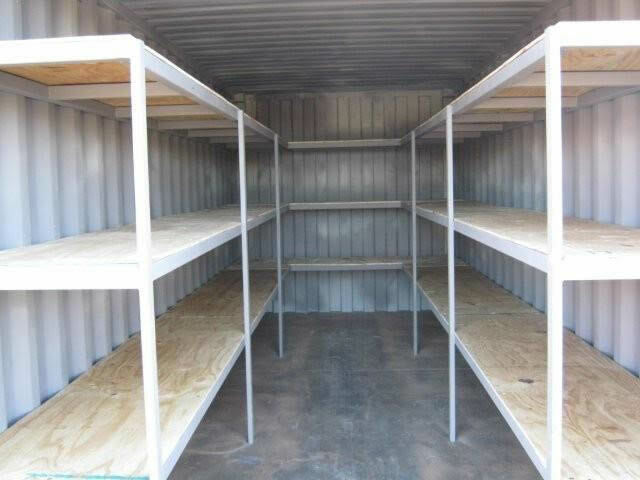 Temporary storage for restaurants at their location or off-site. The U.S. Military has long known the benefits of utilizing containers. They use them for many uses at home and abroad. 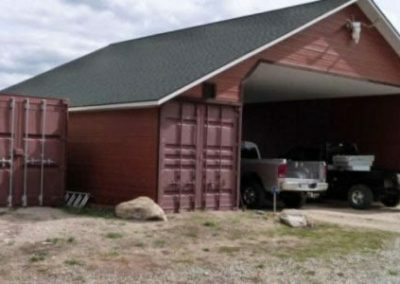 Another example of a barn built with containers as the supporting structure. E & S Equipment Sales Inc.